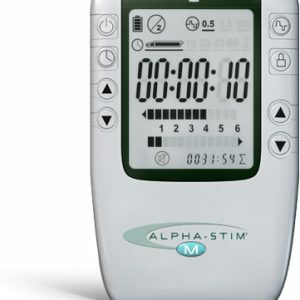 Take Alpha-Stim AID with you, for immediate relief. 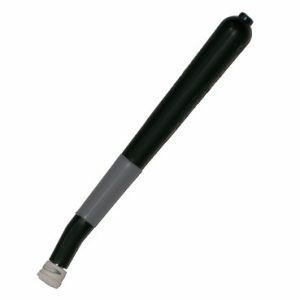 Please contact us for quantity pricing at info@epii.com. 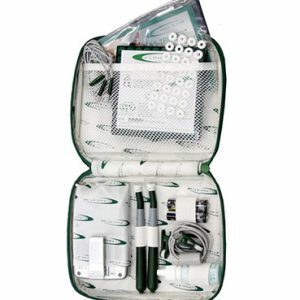 This soft sided, portable carry case is a convenient way to store the Alpha-Stim AID and accessories. 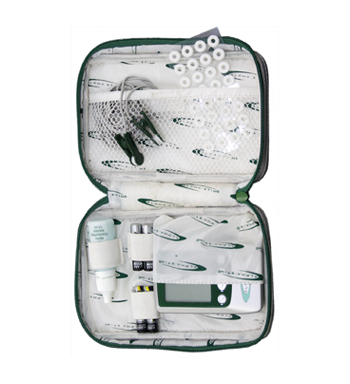 The zippered case unfolds to reveal 2 compartments designed to hold the Alpha-Stim AID, 1 15ml bottle of Alpha Conducting Solution, and 4 AAA batteries. Additional accessories can be stored in the see-through mesh pocket.